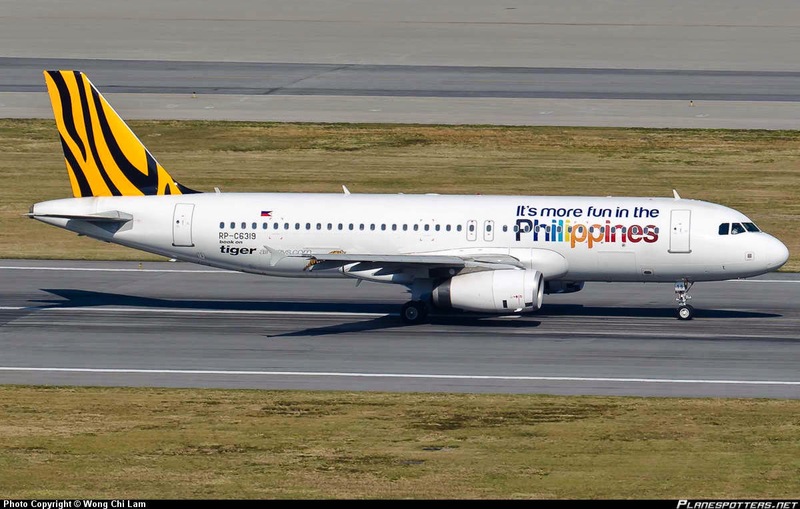 Aviation Updates Philippines - Low cost carrier, Tigerair Philippines, through its partnership with Cebu Pacific Air, reveals four new domestic routes starting November this year after it announced that the airline will be expanding its presence in the Philippines and further improves passenger service. In a statement, Tigerair Philippines said that it will begin their direct Manila to Davao and Manila to General Santos service on November 28. Meanwhile, flights to Davao will fly on a daily basis while flights to General Santos will fly five times a week. Using its Airbus A320-200 aircraft, the Manila-Davao flight will depart NAIA Terminal 4 in Manila at 6:50 PM. The return flight will depart Davao at 9:10 PM. This will be a daily service to cater to guests visiting the key Mindanao hub. Flying with the same aircraft type, the Airbus A320-200 aircraft, and the maiden flight of Manila-General Santos will depart NAIA Terminal 4 in Manila at 12:30 PM, while the return flight will depart General Santos Airport at 3:00 PM. In addition, the airline will also be launching direct Cebu to Davao flights flying twice a week and Cagayan de Oro flights also flying twice a week starting November 29 utilizing its Airbus A320-200 aircraft. Recently, the airline launched direct Manila to Cagayan de Oro flights. "Tigerair Philippines, through its network made wider with Cebu Pacific, remains driven to cater to its guests' travel needs, be it for a bigger network or for low fares. With these 4 new routes, we will be able to serve them in time for the peak travel season in the Philippines," Leilani de Leon, Tigerair Chief for Legal and Corporate Affairs said. Tigerair Philippines currently operates five planes: one Airbus A319-100 and four Airbus A320-200, leased from Tigerair and Cebu Pacific. However, the airline is set to take delivery of another Airbus A320-200 in December this year. The carrier now operates over 230 weekly flights to 10 domestic destinations and 1 international destination.